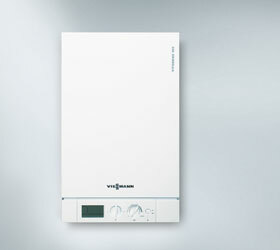 We offer a comprehensive range of energy efficient Viessmann gas boilers. Utilising highly efficient condensing technologies for the gas heating systems and made with the highest quality components, all gas fired boilers exceed minimum efficiency requirements. New energy efficient gas boilers will help you to save on the cost of your energy bills and at the same time will demonstrate your commitment to protecting the environment. By using a condensing boiler to convert natural gas into heat, you are making an active contribution towards protecting the climate and the environment, thanks to the boiler's unbeatably high efficiency of 98 % (Hs)/104 % (Hi). We install every boiler to the highest possible standard. Because every home is different and requirements vary, we offer a Beposke design and installation service, ensuring every home has the most efficient heating and hot water system. With our range of energy efficient gas boilers, we can provide a complete range of innovative and powerful technologies that can be tailored to meet every detail of your wishes and requirements. Easy to install, simple to use and economical to run, we offer gas fired boilers for many types of installation, all of which utilise innovative technologies for the efficient use of fossil fuels. Ideal for installing in any home where stored hot water is not neccassary, our range of energy efficient combination boilers are efficient and economical to run as they only heat water when a hot tap or shower is turned on; making them ideal for use where space is limited, our combination boilers feature a space saving design that eliminates the need for a tank or a hot water cylinder. For ease of use, our combination boilers are equipped with a user-friendly control unit which features weather compensation capability, 7-day programming and wireless thermostat control unit. With every boiler we install we will always recomend a brand leading Adey Magna clean (magnetic) filter which is permanantly fitted to your system and protects the life of your boiler keeping it running efficiently and cleanly. Every home and its requirements are different, which is why we specialise in all types of boilers and stored hot water systems. whether you require a simple heat only (compact) Boiler replacement or a full new build bespoke heating system design, we plan and deliver the best package tailor made for you property. 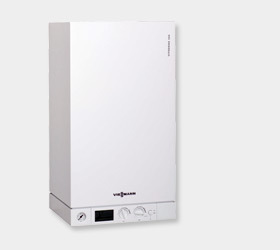 Only ever usig brand leading Viessmann boilers and cylinders along with brand leading heating controls for optimum efficiencies and class leading installation. You can even use free solar energy as part of your new heating system! All boilers are designed for combination with solar technology. Viessmann system technology guarantees that everything will fit together beautifully and work in harmony, giving you convenient control that meets all your needs.